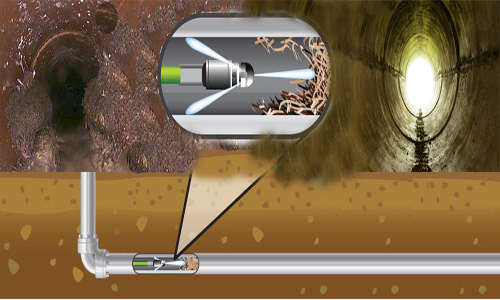 Sewer Pipelines, formerly cleaned with manpower, are cleaned with Re-Cycle Combination vehicles that require minimum manpower today. Our operators are individually trained by senior staff members to ensure proper handling of all equipment. Our combination vehicle can carry the necessary chain flails, root saws and high pressure nozzles needed to completely clean and remove debris. MEER uses new generation cleaning nozzles that meet our stringent requirements and not simply industry standards. Portable debris boxes are available for locations without dump sites in order to comply local standards.